This is a guest contribution from Jerry Low. Most people have heard of the success of Perez Hilton’s blog and that he makes somewhere between $ 200,000 to $ 400,000 each month blogging about the latest celebrity gossip. Success stories like Hilton’s might make the prospect of earning a fortune blogging seem real, but the truth is that it is hard work and not very many crack that six figure per month mark. Still, you can make a decent living from blogging, if you know how to go about it. Every now and then, I’m pulled aside at a family gathering or am emailed by someone who wants to know if it’s possible to make money blogging. Should I attend this “make money online” course? The answer is an absolute yes. You can make money blogging. While not in the six figures, Matthew Woodward, for example, made approximately $ 20,000 in December of 2014. That’s a pretty nice paycheck for blogging. Even a simple idea like Michael Malice’s Overheard in New York, where people submit posts of things they’ve heard somewhere in New York, earns about $ 9,000 a month from private advertising revenue, such as banner ads placed on the site. Personally, I have been making money online since 2004. I quit my day job as a rubber dam engineer in 2006, and never looked back. So, again, the answer is: Yes, you can start a blog easily and make some money. There are a lot of different online business opportunities, too. The only question left is: Do you have the writing quality and blogging know-how to get it done? It’s not something easy, but I promise you it’s worth it. AdSense – People make hundreds of thousands from Google AdSense ads. AdSense makes up about one-third of Google’s revenue. Pay is good, but you will need to play by Google’s rules. There are reports where Google AdSensers get bumped out of the program without warning. Affiliate marketing – This is simply a way to sell related items without the cost of developing a unique product. This is mainly how I make my living online, so this is a viable way to earn money from your blog. Banner ads – Another way to make money from your blog is to sell banner ads on third party sites such as BuySellAds.com. My experience is that this is fairly low pay, but better than nothing. All the different areas of your income can pool together to make a difference in your overall blog earnings. Selling ads directly on your blog – You can earn good money by selling banner ads directly on your blog. However, your blog must first have a good amount of traffic to attract the higher paying advertisers. At first, it might be better to focus on building that traffic and then you can more easily attract the big players. Product reviewer – This might not pay you monetarily, other than the amount you’re earning from blogging, but it can help you try out the newest products in your niche. Merchants send you their products for trial, and you write an honest review. WHSR blogger Gina Badalaty, for example, does this and wrote some great tips on how to become a product reviewer. The key to becoming a product reviewer is that you need to be an influencer in your niche. Personally I get free hosting accounts to test at WHSR so I can write a review on it. 3 key factors: What makes my blog work and why yours doesn’t? 1. You need to be in a profitable niche! One of the first things you want to think about is your niche and whether it is profitable. Some experts advise being a big fish in a small pond, but I think the exact opposite. You should try the big pond because that is where the money is. While your great Aunt Mary’s unique recycled dress quilts might be amazing, not that many people are as interested in reading about them as about quilting in general. Don’t limit your topic too much. When I first got started, I created a site selling inflatable boats online. Can you imagine how many people might buy inflatable boats online? That’s right, not many. What’s worse, this product is a seasonal product and only sells during the summer, so I was further limited in my sales. Having that said, I did make some money from the site – averaging not more than two sales per year. My inflatable boat business didn’t even take off enough to launch it onto the small pond, much less a big pond. So, how do you find a profitable niche? Personally, I use SpyFu to check out what advertisers are spending on a niche that I think I might like to tackle. If advertisers, or merchants, are spending big money on that industry, then it means there is money to be made. There must be a reason why these people can afford $ 8 – $ 17/click on these keywords. If you do not have a SpyFu membership, you can simply do a Google universe search (search at .com, add &pws=0 at the end of your search strings) on the niche you are interested in. Are there any advertisers in the search results? If so, then there may be money in this niche. 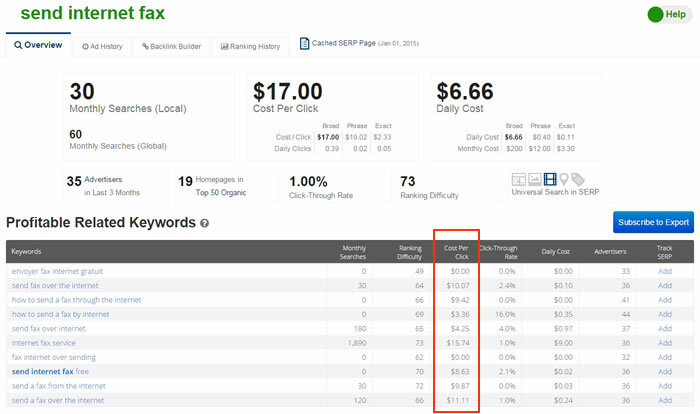 Use Google keyword planner to guesstimate the average price of a click in your industry – with that you can predict roughly how much you can earn per Google AdSense click. The higher the pay per click, the more potential there is to earn. Login to CJ.com and search merchants – use Network Earnings (the green bar) as a potential earning indicator. See image below to understand how I interpret the numbers at CJ. Network Earnings = How much the advertisers are paying compare to overall. Higher Network Earnings = more affiliates in the program;. 3 month EPC = Average earning per 100 Clicks = How profitable is this affiliate program in long term; 7 day EPC = Average earning per 100 clicks = Is this a seasonal product? 2. Are you getting sufficient targeted traffic? Another thing you need to keep in mind is the targeted traffic possibilities for a given niche. To be able to make decent money, your blog must have sufficient targeted traffic possibilities. This is where your SEO and social media marketing (SMM) kick in. When people search for info relevant to your niche topic, they become your target audience. The more people who search for that topic, the bigger your potential audience. Also, if someone follows your competitors on Facebook, those people are your targeted audience. If you are thinking about jumping into a niche and you see that your closest competitor has a couple million page likes on Facebook, then that is a good sign that there is a big target audience. However, to win the attention of this target audience, you have to gain skills in both SEO and SMM. It is simple math. The more targeted traffic your blog gets, the more money you’ll make. Here’s how it works: Let’s say you are selling a web hosting service as an affiliate and the average conversion rate is 3%. On average, every 100 visitors that you refer to the web hosting provider, you’ll manage to get three sales. If you manage to refer 200 visitors, then theoretically there will be six sales down the road. 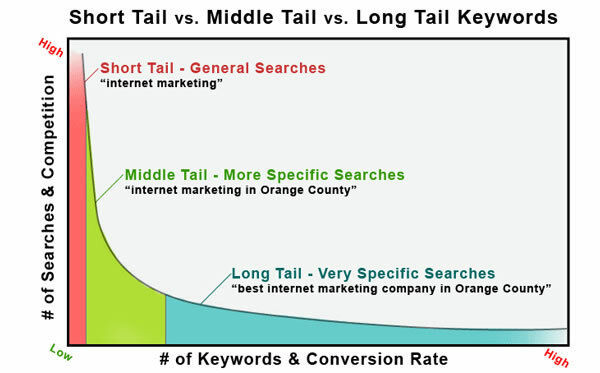 You’ll want to be sure that you figure for both primary and secondary (short-tail and long-tail) keywords to get the best idea of overall traffic possibilities. Being aware of the different target keywords (both primary and secondary) and the advertising basics aimed at those keywords will make your blog more successful. 3. Are you building a List? You’ve probably heard multiple gurus saying that building an email list is of ultimate importance when driving traffic to your site. If you want to make money blogging, you’ll want to capture your site visitor’s emails and send them emails that will drive them to visit your site over and over again. If you need help with building and making money out of your email list, here is a very handy guide written Marya Jan on Problogger.net. Why is an email list so important? An email list is your greatest asset online because those signed up are trusted leads who have visited your blog. Your email subscribers already trust you and your authority on this topic. If you were going to buy something online, you would probably look at products based on the recommendation of someone you trust. If you wanted to buy a guide to read, you would first look at guides written by or recommended by someone you trust. If you were following Adam Connell (from Blogging Wizard) new venture WP Super Stars from the beginning, you should note of is that he started collecting email subscribers ahead of time. That’s right -You can start collecting subscribers before you even have a blog. Reach out to family, friends and acquaintances to get started. Bottom Line – You can do this! When it comes to making money from blogging, you have to be creative and keep an eye out for new opportunities and changes in how search engine algorithms and advertising work. However, with a bit of foresight sprinkled with hard work and consistency, you too can make a living from blogging.